$20,000 Below appraisal. 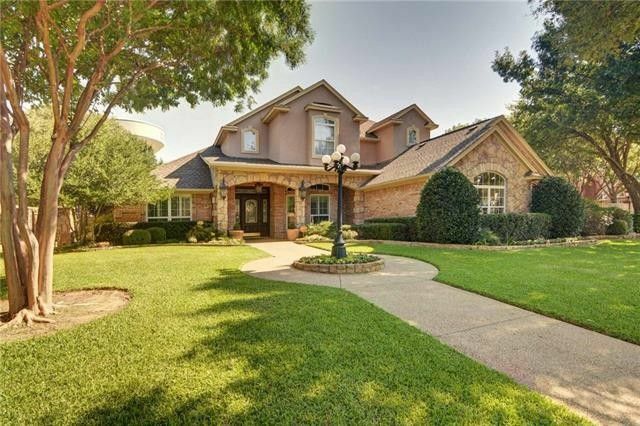 Beautifully updated in Kingswood Estates, Grapevine-Colleyville ISD. Pool size backyard w water fall, pond, covered patio, built-in grill, mist system for easy entertaining. Outdoor patio bath. Large island kitchen w granite, open to living room with views to backyrd. Master down w fireplace. Two bedrooms up, game room, forth bedrm used as study.Floored attic remote operated lift easy access. Custom wood floors. Directions: From 26, Go East on Hall Johnson, Right on Bluebonnet Drive, Kingswood Lane will be on your Left.